We are very excited to announce the first six Featured schools for our College ID Camp. At our C3 College Clinics players participate in 3 sessions. Players are trained by 3 different colleges each session. (9 Total) Come be a part of a rich history of players recruited via C3 Soccer Camps events. 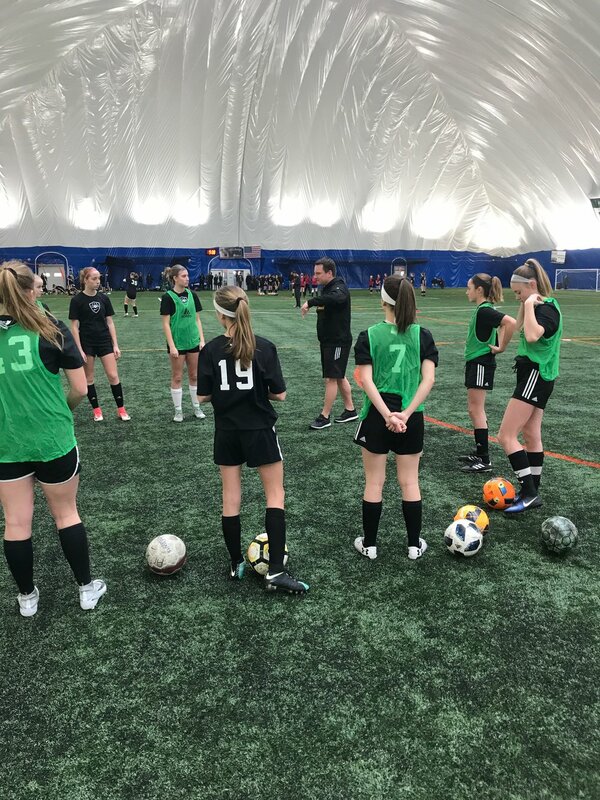 Eclipse Select MN's mission to provide players with the most intensive College Assistance Program took another step forward with our second annual College ID Camp in January of 2018. After each session the players were able to ask in depth questions and learn from the College Coach Panels. Enjoy the process and remember that it is better to be late and right than early and wrong. You are all Student Athletes. Your grades matter. If you want to give yourself the most options have a 3.5 GPA or above. The better student you are the easier it is to recruit you. The first question I ask when looking at a player is "Will this player make our team better." Never miss out on an opportunity to play. Playing pick up is a crucial part of development. If I was able to go back to when I was a player but could use everything that players have access to today I would have been so much better. You can watch soccer all the time. YouTube is incredible. You can learn so much from watching. For our program you need to be a soccer junkie. We want to hear from the player. We are not recruiting the parents. We spend a lot of time with our players and we need to be excited about who you are as a person because our culture is important and you need to fit our culture. Don't be afraid to reach out. It is up to you to help college coaches find you.